These test procedures are based on OIML R76. ​Please note tests used to compile this summary are fully described in the documents NITP 6.1 to 6.4 NITPs for Non-automatic Weighing Instruments on the National Measurement Institute Australia website. Verification of NAWI training 28 November to 1 December 2016. 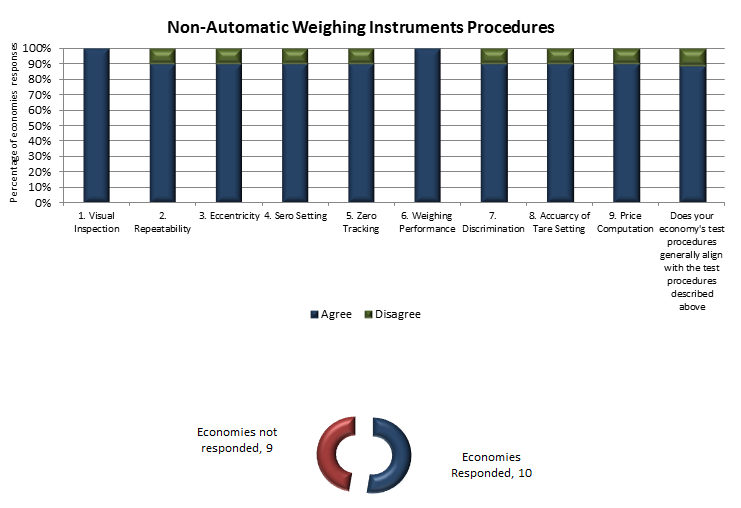 The following results are from a survey completed in 2016.